You’re well aware of how important it is to visit your doctor for checkups to ensure that you have the best overall health, but preventive dental care is just as important. 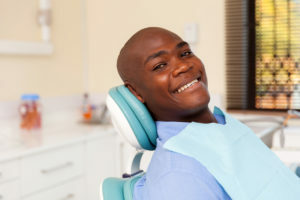 As you read on, your dentist provides 6 reasons why you shouldn’t skip dental visits and also reveals how your semi-annual appointments can even help to save your life. One of the more prevalent conditions associated with poor oral care is gum disease. It stems from the accumulation of bacteria in your mouth, on your teeth and beneath the gumline, and it’s undetectable in its early stages unless identified by the expert eyes of your dentist. Untreated, this condition can cause swollen, puffy and red gums that bleed easily and may contribute to foul breath. If the problem persists, it will eventually develop into more advanced forms that can lead to tooth loss, hypertension, heart disease and stroke. While that may not seem like a big deal, keep in mind that a cavity can sometimes develop for years before there are any recognizable effects. Thus, having one identified early at your dental visit can save you time, money and prevent any unnecessary discomfort. One of the dangers that bacteria accumulation can contribute to is oral cancer. Thus, the removal of plaque and tartar at your checkup helps to prevent the development of this deadly disease. You’ll also benefit from your dentist performing a full oral cancer screening. He or she will use the most advanced technology to identify any potential dangers. If you have some unfavorable habits that you haven’t overcome yet, it’s even more important that you visit your dentist for preventive care. One such habit is smoking, which leaves you more vulnerable to oral infection, cancer and other problems. It’s important to let your dentist know about such habits so that special means can be taken to check for any related damage. When you visit your dentist, you’ll benefit from the technological advancements that provide access to areas of your oral cavity that are impossible to evaluate with the naked eye. While your dentist will use the latest technologies to enhance the level of care you receive, he or she will still rely of years of expertise and old-fashioned know-how to feel with his or her hands to signs of swollen lymph nodes and issues with the head and neck. If any abnormalities are found, your dentist will alert you, so you can inform your general doctor. Hopefully, with the information presented here, you’re now more aware of how important a visit to your local dentist is. It’s more than just a cleaning and a casual checkup; it’s a golden opportunity to enjoy excellent oral and overall health. Dr. Nelson Y. Howard earned his dental degree from the UCLA School of Dentistry and has since gone on to become an award-winning dentist. Still, he remains eager to learn, which is why he’s taken thousands of hours of postgraduate education. Dr. Howard invites you to reap the benefits of preventive dentistry at his private practice and can be reached for more information through his website.